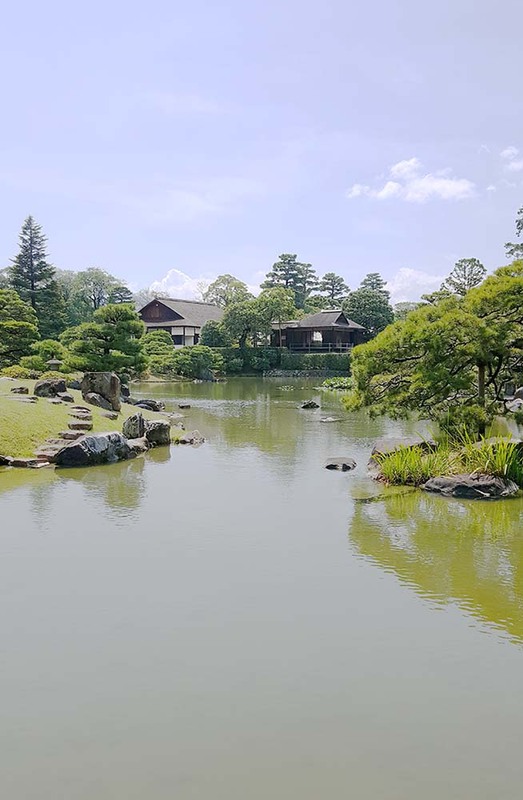 Katsura Rikyu (Katsura Imperial Villa) is often considered as the culmination of Japanese traditional architecture. 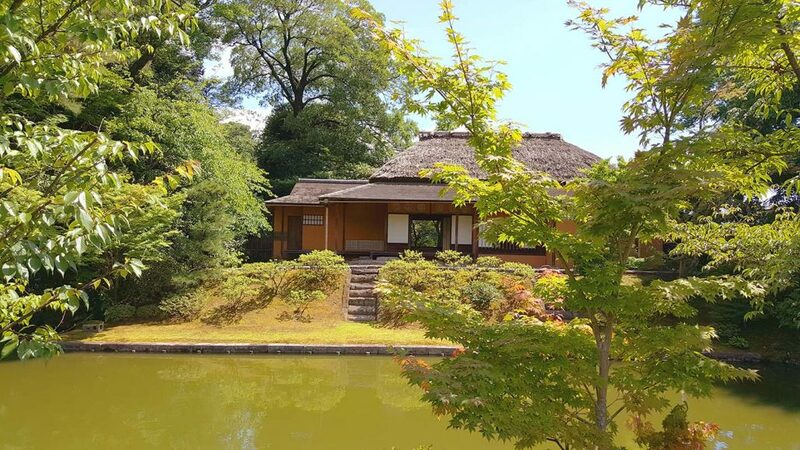 It was built as a villa/retreat in the Western part of Kyoto for imperial families during the Edo period. It is believed that the construction started sometime in the late 16th century, and the current layout was completed by the early 17th century. 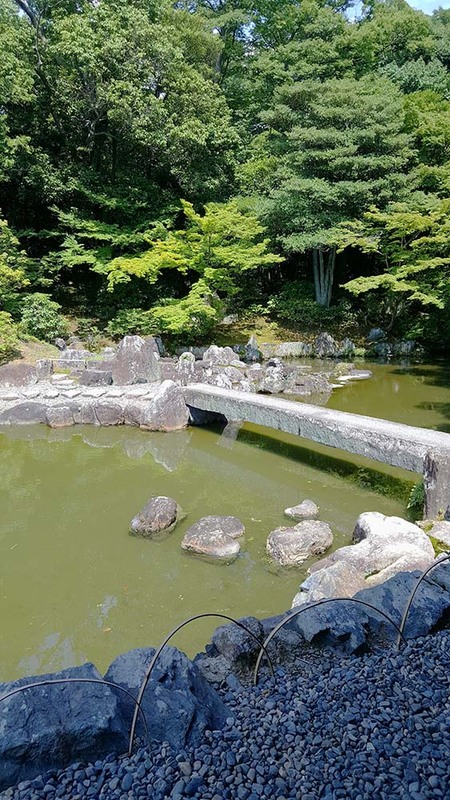 Located beside the scenic Katsura River, where the social elites in the Middle Ages gathered to enjoy the moonlight, Katsura Rikyu boasts its peculiarly “modern” profile, dissolving into nature in a remarkably succinct yet refined way. 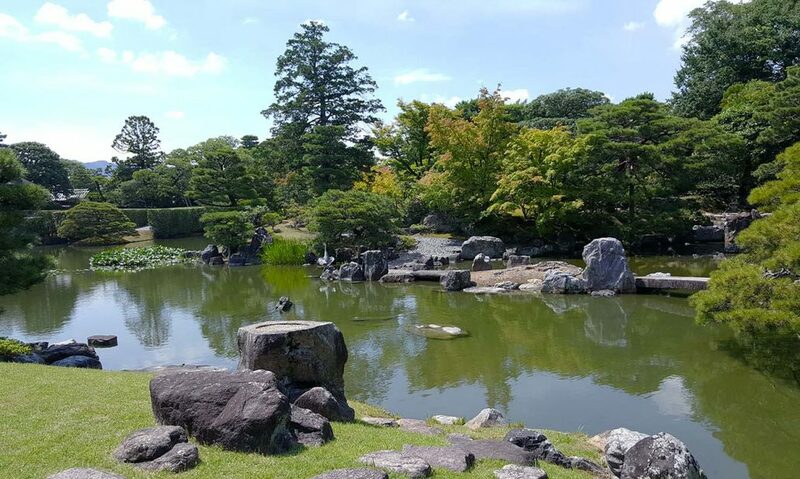 The Katsura Imperial Villa is set in grounds of approximately 70,000 m² (753,500 ft²), applying a traditional Japanese landscaping technique called the chisen kaiyu-shiki garden (池泉回遊式庭園). 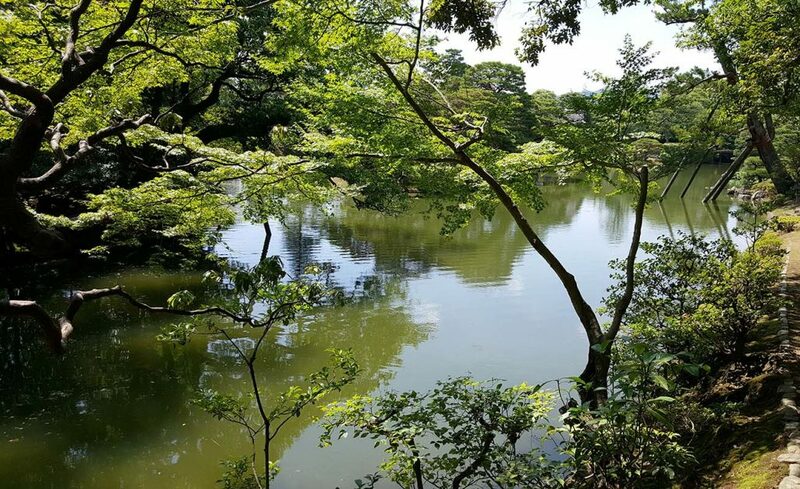 “Chisen (池泉)” means ponds/fountains, and “kaiyu (回遊)” means strolling around. A pond occupies the center of the site, surrounded by vista points that often replicate either actual well-known natural beauties such as mountains, waterfalls, beaches, or a mythical/religious paradise. 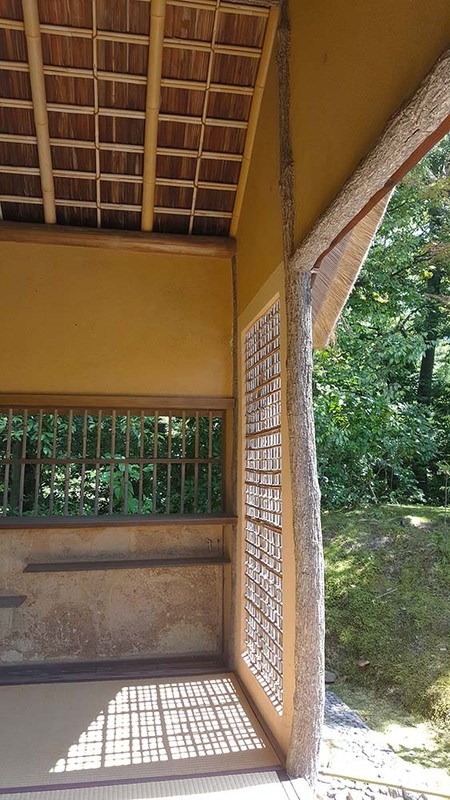 Tea houses and gazebos are installed so that visitors can stop by and enjoy the view. Plain, winding (and usually clock-wise) paths connect them by circling the ponds. 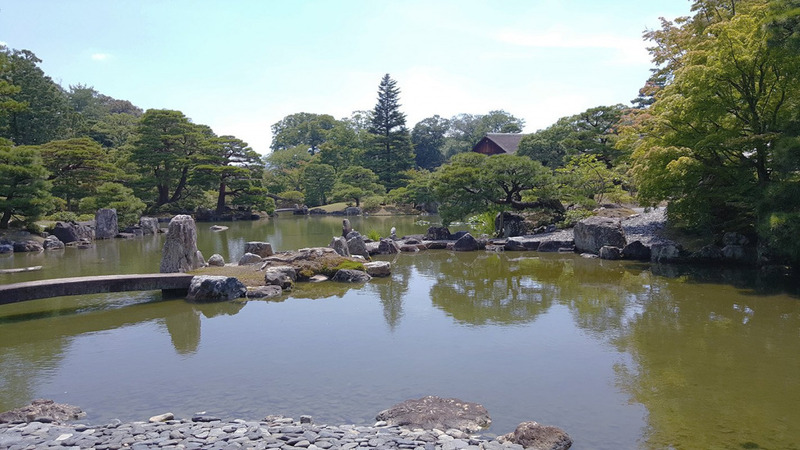 At Katsura, the pond – the central feature of a chisen kaiyu-shiki garden- has an asymmetrical, labyrinthine shape with small tributaries branching off from the core. The effect: you cannot grasp the entire picture of Katsura no matter where you are. The whole landscape is carefully designed so that the complex water body works to isolate one area from the rest, the trees, mounds and/or buildings blocking your far-sight view. This effect defines the fundamentally “undefinable” characteristics of Katsura. Devoid of a panoramic, all-encompassing view, you are lost in local, microcosmic nature. Since each pocket has its own characteristics and views, you’d feel like you are in a maze full of natural wonder. It is remarkable if you remember that this place was built by imperial families. Instead of using Katsura to showcase the extent of their power and money, they leveraged their assets to obscure human presence. 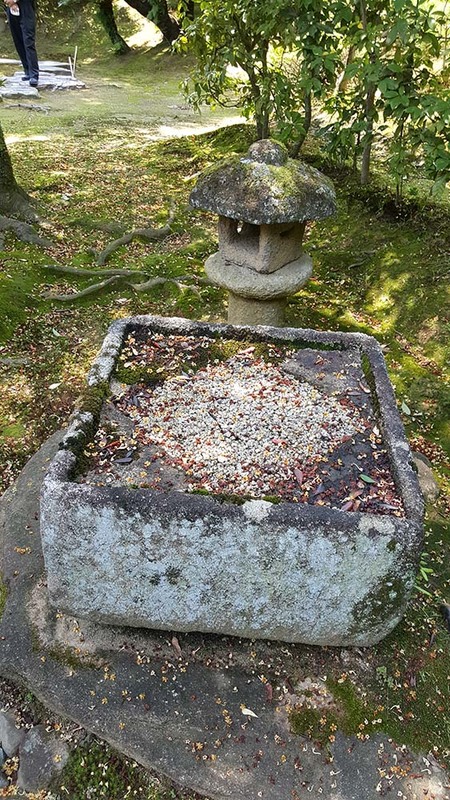 It seems like ancient Kyoto aristocrats, dilettante elites who neither worked nor fought, maintained a very unique way to appreciate the beauty in nature. For them, nature was not just the source of blessings nor threats that needed to be conquered. It was where ultimate beauty resided. With Zen influence, some of them focused on minimizing human intervention in nature, allowing essential natural elements to emerge. What you see here is an amazingly subtle balance struck between the artificial/human world and nature. Carefully controlled human interventions conform to nature, and nature displays its delicate profile without becoming ostentatious. Emphasis is not on the human power to alter nature but to let artificial beauty emerge. It is highlighting the decency of nature. People’s aesthetical abilities, technical skills and knowledge were mobilized to accurately portray – no exaggeration allowed – natural authenticity. Katsura is pretty stoic about this. You may wonder in this neatly but elaborately maintained quiet resort, and feel yourself vanish into the scene. Anywhere you are, you are surrounded by people’s sincere work to read, feel and play with nature. What a bliss to your senses. You wonder in this succinctly but elaborately maintained quiet resort, and vanish in the scene. Anywhere you are, you are surrounded by people’s sincere work to read, feel and play with nature. What a bliss to your senses. 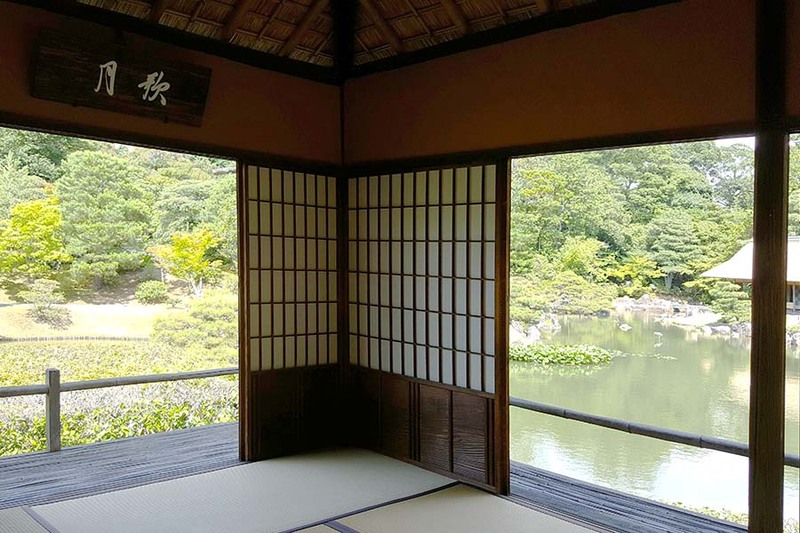 According to Kunai-cho (Imperial Household Agency), there are 18 facilities and vista points in Katsura. 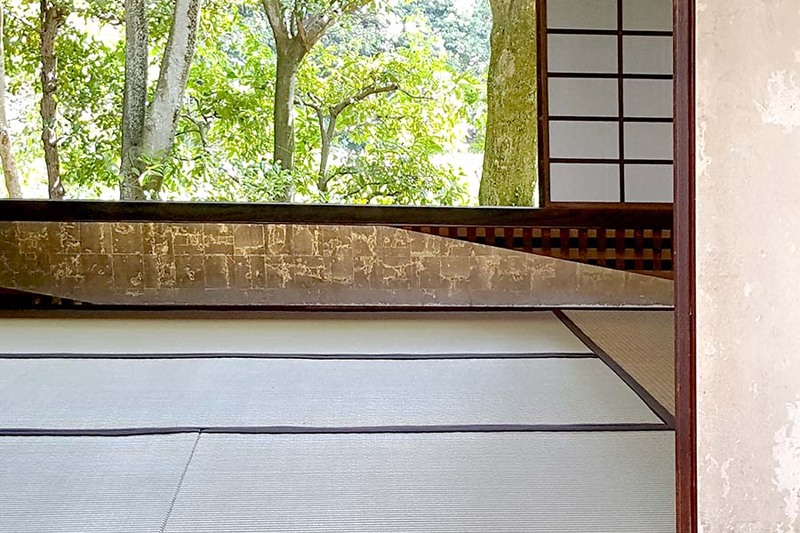 Shokintei is the highest-class chaya (tea hut) at Katsura Rikyu. It’s widely known for its modern blue and white checkered pattern, but there are a lot more striking design details in this architecture. Shoitken is built using the technique called 数寄屋造り (sukiya-zukuri). 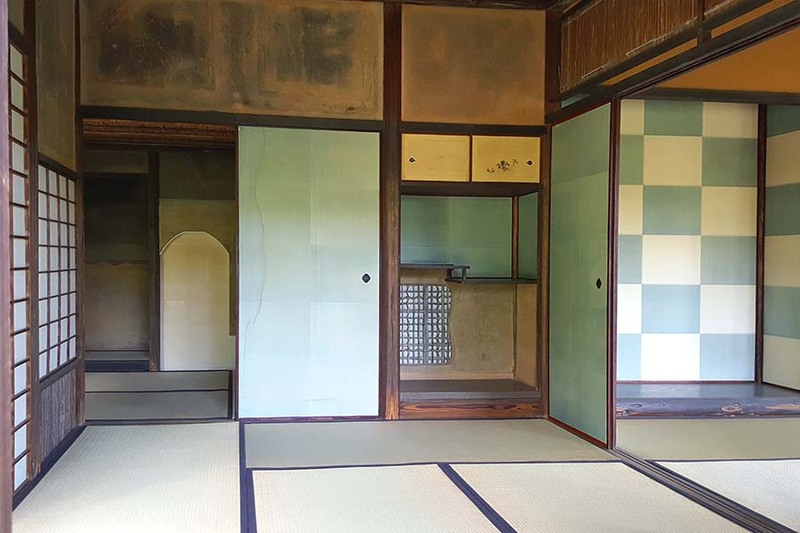 As sukiya-zukuri started as a counter to 書院造り (shoin-zukuri), which focused on formality and class, it leveraged non-conventional, rustic and simple materials/designs often favored by chajin (tea experts). Shoitei will surprise you with many such progressive details. Gepparo means “moon waves house.” It is situated on a raised ground by the pond, and has a stunning view of the water body. People must have used this facility to enjoy the Moon reflecting on the water. 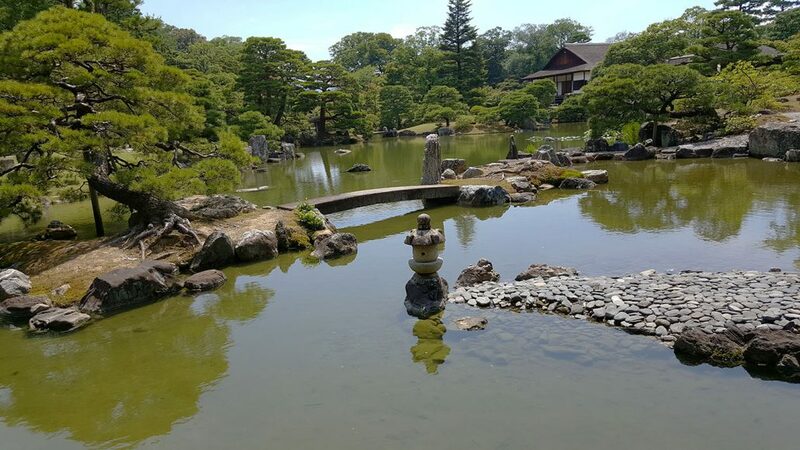 The house across the water is shokintei, which is shown above. 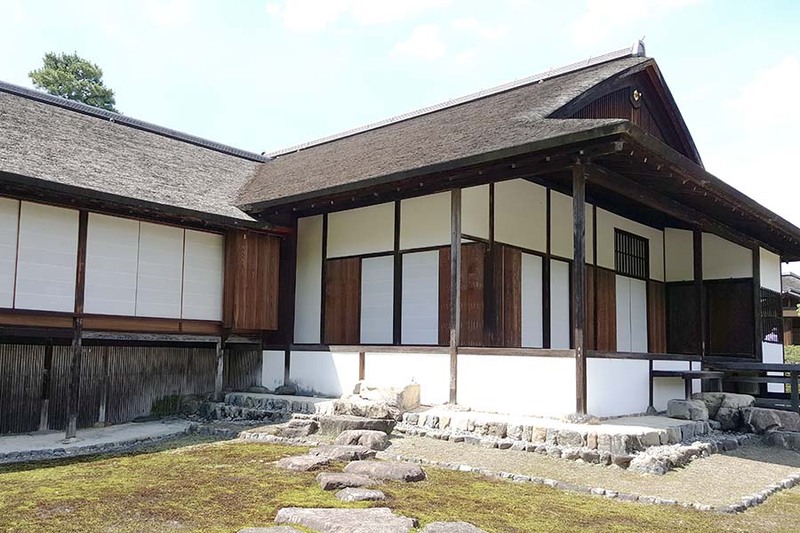 Shoin is the main architectural complex of Katsura. It has raised floors and 入母屋造り (irimoya roofing). 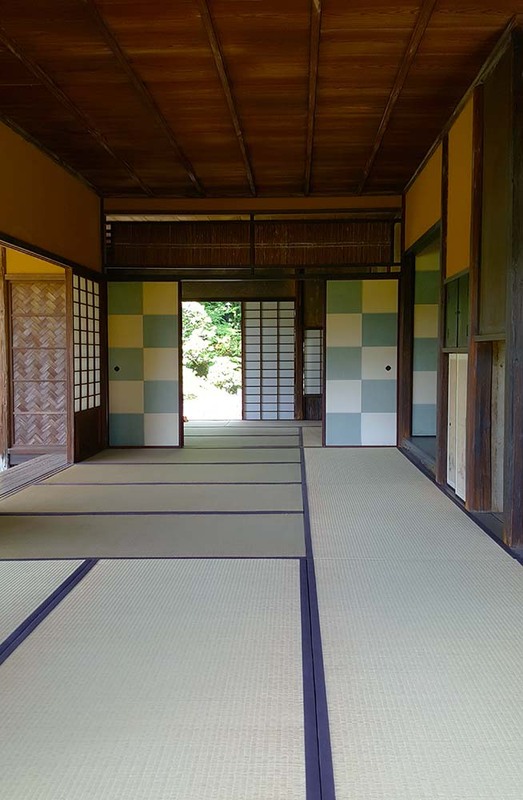 White shoji (paper doors with wooden frames) furnished to surround each room. Along with the white walls, they create a crisp contrast with the dark yet fine pillars and roofs. Details will be updated in coming weeks. Sign up for newsletter to receive updates.